The news was announced at a long-forgotten time back in the winter. Ironman was coming to Scotland for the first time, and the race would be a 70.3 in Edinburgh. 70.3 denotes the total distance in miles, also known as ‘middle distance’: 1.9km swim, 90km bike and 21km run. Pre-race pose … don’t want anyone to miss me on the course! I was immediately tempted because I knew it would be big, I like doing ‘firsts’ and I knew one of the organisers. On the other hand, I normally go for wilder races than this! After some short deliberation, I entered. If it had been a full Ironman (twice the distance) I’d have had to think harder, but as it was I thought I could fit it in. During the winter and spring I tried to ride my bike more. I did two ‘warm up’ races, a sprint and a standard distance. On both I was disappointed with my bike speed and with only 6 weeks to go I knew I had to make up ground! Turns out it’s harder to fit in all this extra bike riding into my already full swim / run schedule than I imagined. However, fitness was not really the issue. The biggest problem was learning to be comfortable on my time trial bike. As race day approached, the forum was going into a frenzy with people talking about the race and asking hundreds of questions. I had a lot to do at work and felt a bit stressed by everything! 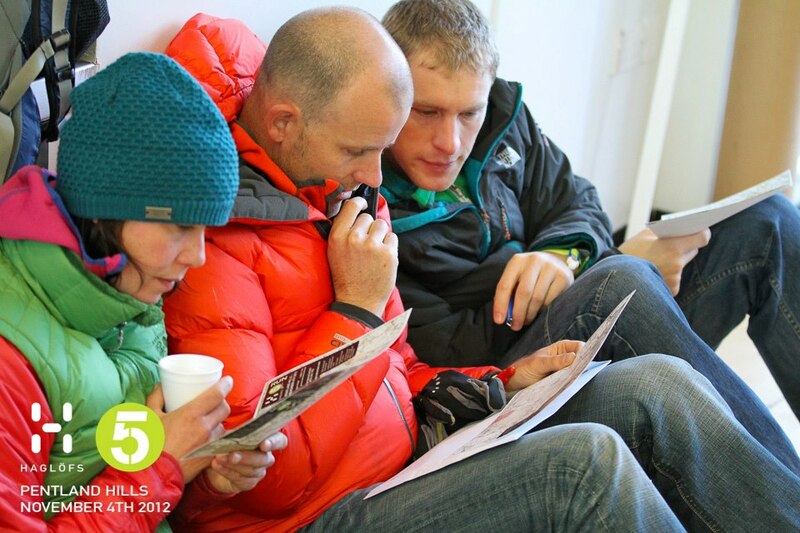 Although the race was on Sunday, it all started on Friday with registering and getting all my kit together. Saturday was spent leaving bags of kit in various places and attending the compulsory briefing. On my last ride, one of my tri bars had moved a bit when I hit a pothole. Andy wanted me to get it fixed by the mechanic, but the queue at the bike drop just wasn’t moving. I got more and more anxious until I abandoned it and racked anyway; I thought it would be fine. This meant a less meticulous preview of the transition area than I’d have liked, then off to do the practice swim. I was only doing this to try the course for real, but the buoys were in random places in a loop that was very much not 1.9km. Fun waves, but there was already talk of a shortened course. Great view from the swim start – the finish is over there! Rainbow at the start – a good portent? Getting into wetsuit half asleep still..
Race day dawned with near perfect conditions for me – strong winds to make it a bit tougher, but no rain to upset my bike handling! Izzy picked up myself, my mum and Glen at the crack of dawn and off we went. Straight into the toilet queue where we learnt that yes, we would only swim 950m. Time dragged on until I did a short warm up and went to get in the right pen. Where was the right pen? In fact, where were the pens?! I am very much unused to such large race fields. There were about 1600 starters. I found someone else in the club who swims at a similar speed to me and we decided to push our way through. That was, until someone stopped us saying: ‘I’m not letting you through, we’re all trying to get to the same place’. We ducked under the barrier instead and found a gap to get back through further down. There was plenty of room here and people planning to go at our pace. As it turns out, I am glad we did this. Others further back had tales of swimmers in front of them doing breaststroke, throwing up and clinging onto kayaks. As it was for me, it was a fairly smooth start straight out to the first buoy. Left turn and I was swallowing a lot of water. Slightly off track, but I corrected, turned and turned again. Now the sun was blinding me and I was still swallowing water. Rather too late, I decided to only breathe to one side (away from the waves) which was a vast improvement. I couldn’t see the final orange turn buoy so I followed feet until I got there and came ashore. Swim exit. Neoprene socks allowed, so I wore my Gococo compression socks under my suit! There has been a lot of discussion about the swim. Personally, I loved it and would happily have done a second lap. I gained chunks of time on my competitors and it was disappointing that I did not have the fullest opportunity to exploit my strength. However, I understand the decision made and it was right for the competitors and the conditions at the time. I do think there are some inherent issues with the sport where the swim is often seen to be survived, rather than fully integral. If I am a weak on hills or struggle when it’s hot, is it fair to put in hills, or keep a full course when it’s sunny? Yes, of course it is! But safety considerations do come into play more on the swim. I wonder if some compromise could be made with a time-out on lap one, splitting people into short- and long- course options so that most people could take part safely, but allowing the best to race the full distance. Leaving transition – still a lot of bikes there! Anyway, it was what it was and I wasn’t troubling myself about it during the race. I was out and into transition, stuffing in a banana, waving at my mum and carefully mounting. Andy shouted out that Louise, a clubmate, was just ahead, but she didn’t appear immediately and I knew she was a strong biker. It was fabby to ride on closed roads and not have to worry about traffic! I had plenty of space and only saw a couple of instances of blatant drafting all the way round. Part of the route is a loop that goes out and back on the same road for a while. I was just in time to see the pros coming through before I was off up the hilly loop myself. I rode this well and was remembering to eat and drink, and kept an eye on my average speed as a way to stay concentrated. As I returned I saw how it looked further down the field – big crowds of riders out for a long day. I felt privileged to be where I was. A note on support round the course – it was great! 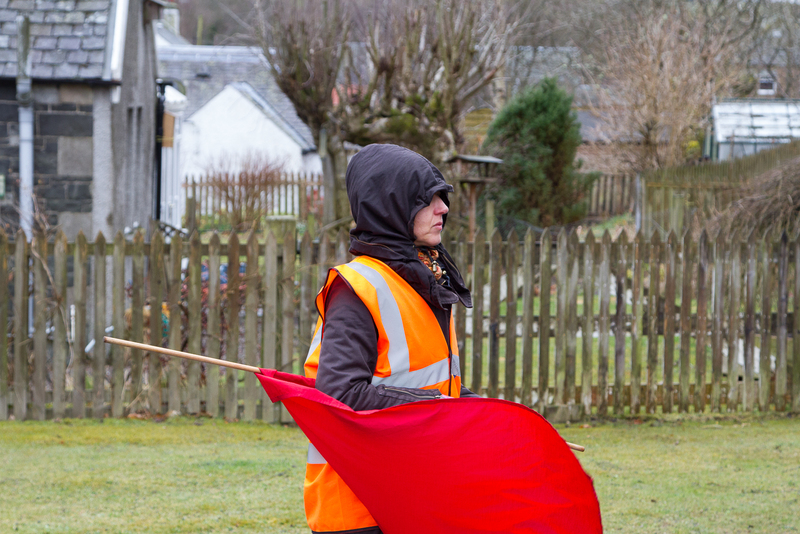 I think I saw three young people playing their bagpipes, residents out clapping us as we passed, and a chap away out near Garvald with flags, hollering and whooping with me as I went by. I tried to thank them all, when I had the breath to! After about halfway, I started overtaking people who had passed me in the early stages. It was a good feeling. We had a headwind now, but I didn’t pay it any attention, tucked down on my bars. I did catch up with Louise finally, on the approach to Cousland, and we exchanged a few words. The final part of the course wiggles through town and I might have flagged a bit here, but before long I was over Arthur’s Seat and into transition just in time to hear the first male pro finishing his race! I had been debating whether to avail myself of the portaloos here and eventually decided I would. I ran into one, skidded in my cleats and nearly came a cropper! However, it was worth it as I left relieved and was soon out running with another banana going down nicely. I had a positive mindset and started at a good pace. Up the hill, down the other side, turn, back up, down, into tunnel, up it and down it, disco party, up …. ohhh that hill was excruciating, along, up, down, down .. weave past other racers in the narrow bits, try and guess who was ahead or behind, who was fresh or just faster… You get the idea. Someone get that ambulance to take me away! Lap 3 and I almost felt normal again. I smiled at a few people and felt strong. This was my final circuit and I had rescued myself! Up a final drag, turn left, SPRINT!! Collapse on chair. What a race! The run was brutal but I had got round. Finishing in 5:31, I had just tipped over 5.5h. Looking at the results, my bike leg was still off the pace of the others, but I had achieved my target speed and was faster over double the distance than I had been in my last race. My swim was great, my run was reasonable. I was 6th in my age group, which seemed to have a lot of strength in depth! 25th girl and 234th overall, keeping me in top 15%, which I was pleased about. Full details here. I must thank my mum, Andy, Izzy and all the other people I know who cheered, supported and took photos! Sprint finish. Good value for spectators. Can I sit down now? I had mixed feelings about the result. I did achieve most of my goals and given my main focus is swimrun I probably did as well as I could. A little part of me would have loved to get on the age group podium, but I can’t control the competition and I did my best! I also seemed to recover well. Not too much muscle soreness and after a week I was bouncing up and down hills like my normal self. Which was lucky really, because next up (two weeks later) I had a bonus race in my calendar, and it didn’t look easy! Post race snacks and literal ‘chilling’ ! For a few years I’ve had the Solstice Triathlon on my radar, but the day or date have never been suitable until this year. Opening of entries was delayed due to issues with landowner permission. But Twitter told me it was suddenly available and I jumped in – it was sold out within a day or two. The race didn’t have anything to do with my swimrun or other racing plans, but I knew it would be fun! Jo Thom has won this race since it started and I was looking forward to a close battle with her. Sadly, with an on-the-mend injury she had to make the decision to play it safe and withdraw. I think resisting the urge to join in and defend her trophy was the harder thing to do. I got a lift up from work with Andreas. 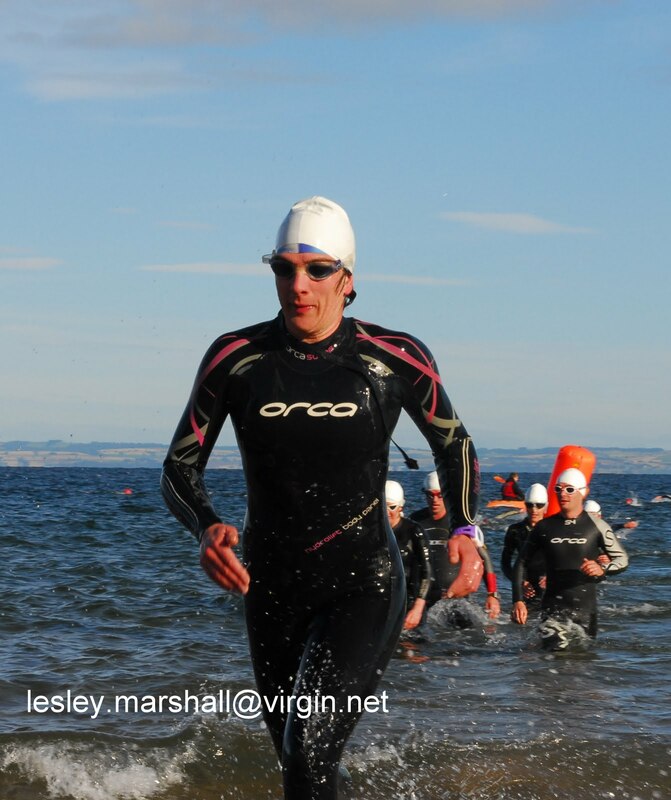 I could tell there was some tension – this was his first triathlon for 6.5 years! It was colder than I expected and there was a strong wind. We shuttled back and forth between the car and registration, with Andreas picking up a puncture from a massive thorn! Better then than before the race, though now I was paranoid about my own rear tyre which had been slowly deflating in previous days. I hoped the extra slug of sealant the night before would keep it up. 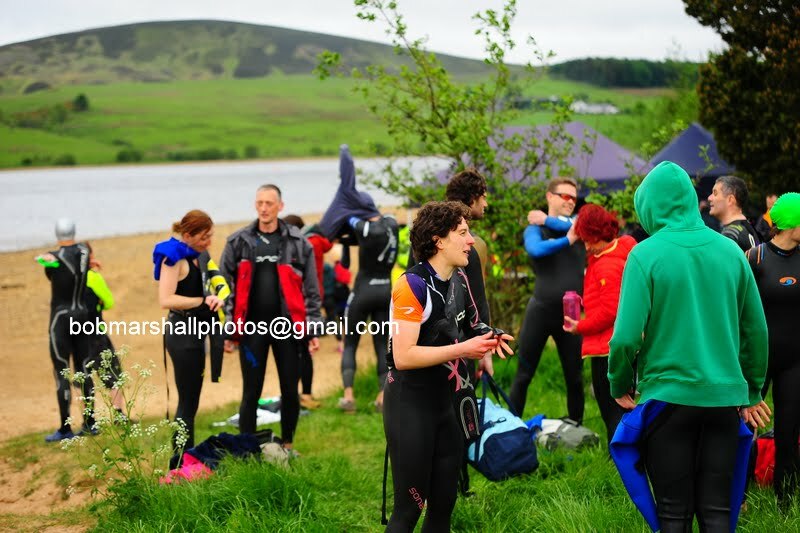 Before the briefing I got right into my wetsuit, jumped up and down and swung my arms around to keep warm. It felt weird to be in a full length swimming wetsuit again. We got into the water and people were oohing and ahhing about how cold it was. ‘I think it’s about 10 degrees!’ someone exclaimed. I said ‘nah, about 13’ … who knows for sure, but it was definitely warmer than 10 😉 . Off we went, heading towards an invisible buoy. I started off trying to sight but soon gave up and followed everyone else. I did my usual and got into no-man’s land in a gap between two groups. As we neared the finish I just about caught up with the lead group, but really I should have been trying to draft them all the way. Another lap and I’d have been right past 😀 . These 750m swims seem short these days. How do I get this thing off? My transition felt slow but I was methodical. I was soon off on my mountain bike with the wind at my tail, racing off to the first hill. Andreas passed me here, powering past and away. My glasses had steamed up which was extremely irritating. I had lenses in, so considering stuffing them into my trisuit pocket, but wasn’t sure they’d be secure. Down the other side and I still couldn’t see; not ideal! The next turn was a sharp hairpin straight into the next hill. My calf almost cramped so I eased off for a minute or two. Up this side I was glad it had been very dry recently, as it is rutted and would be hard going when wet. As it was, I still picked the wrong line once or twice and had to jump off. At least I could see again now. A fast descent on a deep loose stony surface followed. A couple of guys flew past, but I wasn’t taking any risks. I don’t need an injury now! I also slowed for the water bars to make sure I didn’t hit them too hard or at the wrong angle. I think a few people punctured coming down here, but I was soon through and firing on again. Compared to the old course, this route was more technical and harder going. The climbing isn’t over after the first two hills. There are couple more ‘stings in the tail’ to come. I actually started feeling really good on the last one, which was fortunate as then we turned into the headwind towards transition. 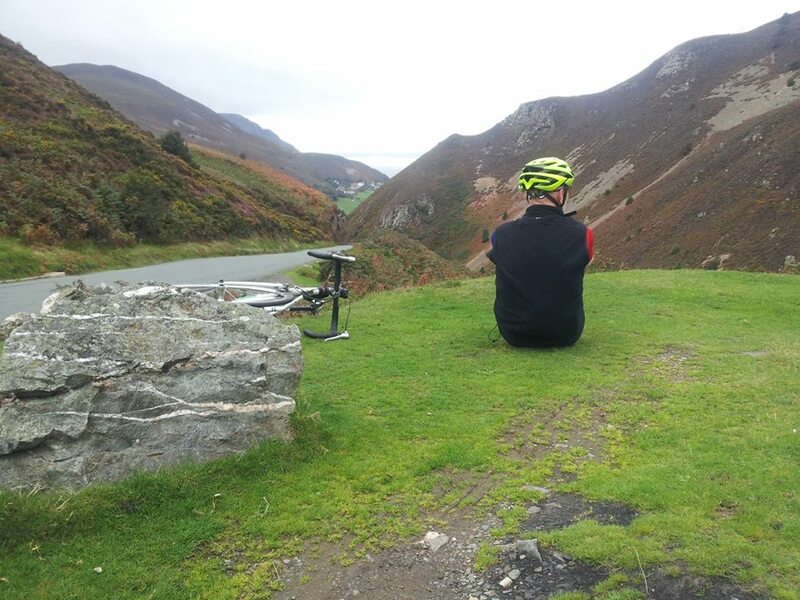 I was in a little world of my own, as there were very few other riders about. As I rounded the corner, I was met by loud cheers and clapping and the hustle and bustle of transition. I was a bit taken aback! Bike times on the new course were 10-15 minutes slower than last year. The run had been shortened to make sure everyone could get home in time for bed. 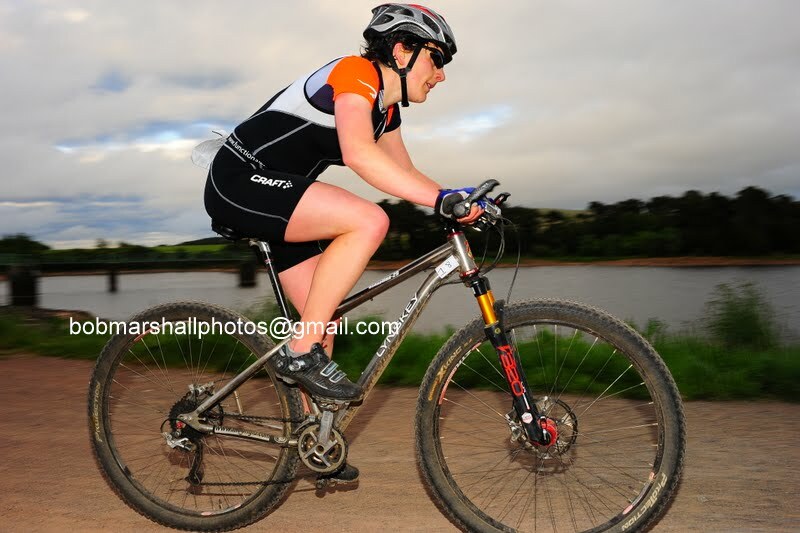 So it was just a 3.5km blast round Harlaw reservoir to finish. This route is really familiar to me as I’ve trained here many times with Izzy, ‘finely honing’ (ahem) our swimrun technique. I felt pretty good. I ran not knowing how close the next lady might be and soon was over the finish line and sat in a little heap. Favourite running photo ever so far! 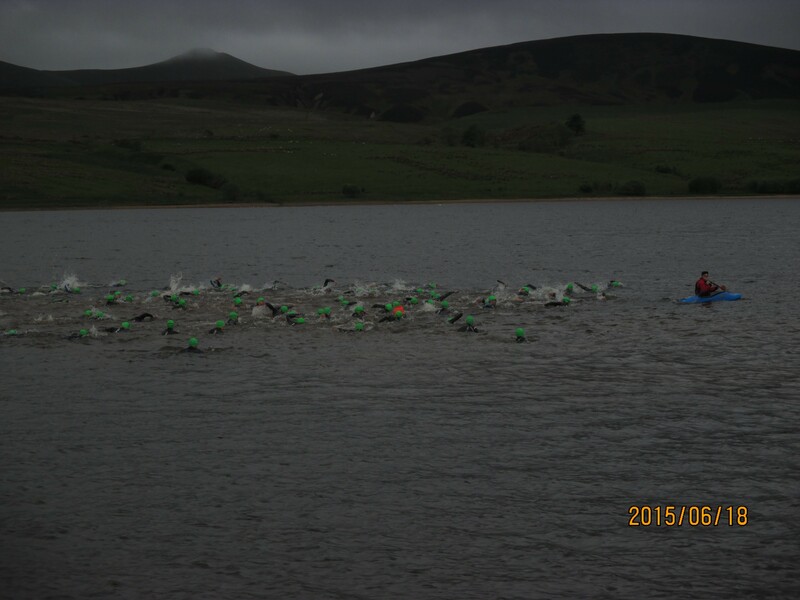 A great wee race, well organised and complete with free transition towel, banana, hot food, water and waffle. I’ll keep an eye out for it again next year! 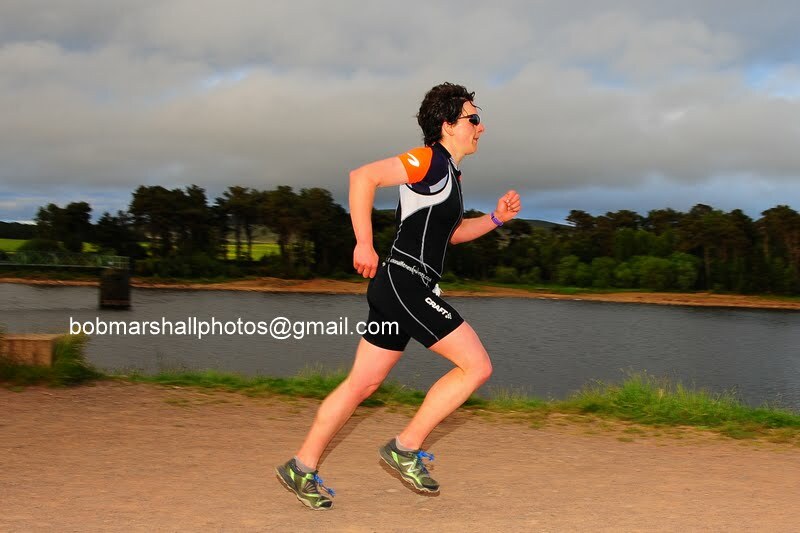 Many thanks to Pentland Triathletes for organising the race, Andreas for giving me lifts, Bob Marshall and Hamish MacDonald for the photos (the labelled and unlabelled ones respectively) and to everyone who cheered, held open gates and helped make it a great event. ps rear tyre has stayed more inflated than it has been for months! A bonus race with a bonus result! After Craggy Island I had three weeks in my plan to get my calf sorted and get well before the next race. It seemed feasible. 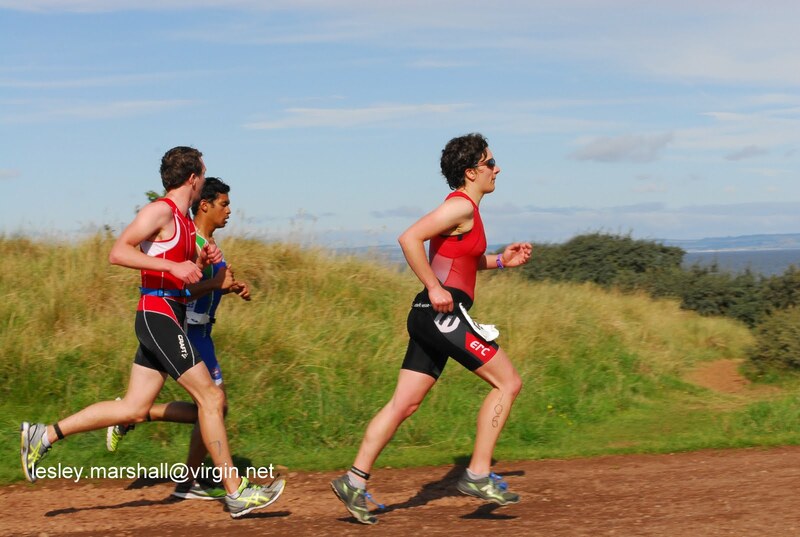 At the race, Marie had mentioned she was doing the Gullane Beach Tri, which is almost my most local event, and asked if I was too. I wasn’t, but it made me think maybe I could, and I checked the website. Sold out and too late for the entry list. I mentioned it to my coach, Scott, then forgot about it. A few days later I got an email. Turn up on the day early – organiser says you will race. Sure enough, this is also what the website suggested. Suddenly I was interested again! There was a risk to my calf though … so I waited until my first interval training since the half marathon, to see how it went. I was ‘controlled’ with my efforts, and all was well. 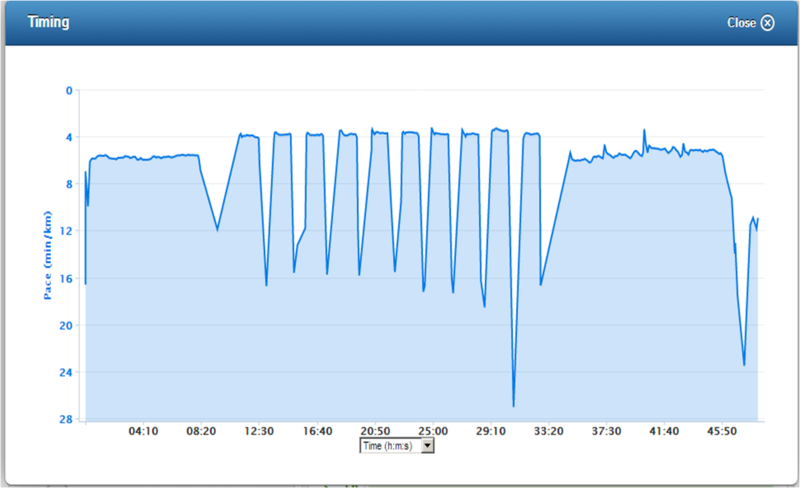 Ten perfectly paced intervals, with a special effort on number 9, just to see if I still could! Next mission – getting a lift to the start early enough to get on-the-line entry. Marie offered to pick me up at 7 … too late I thought. I could camp the night before – but left work far too late on Friday to get sorted and get the train over. Scott was going the night before to set up the swim course. Friday evening I texted Glen … and got the reply … we can pick you up at 6:30!! I was (hopefully) going to race! This coincided with my first full week of feeling well, so on race day I was high as a kite and bouncing off the walls. After a high speed dash along the coast, we got there very early, I got a spot no problem, and a great position in transition at the end of a row. It was chilly, but I was confident it would warm up when the sun came out. 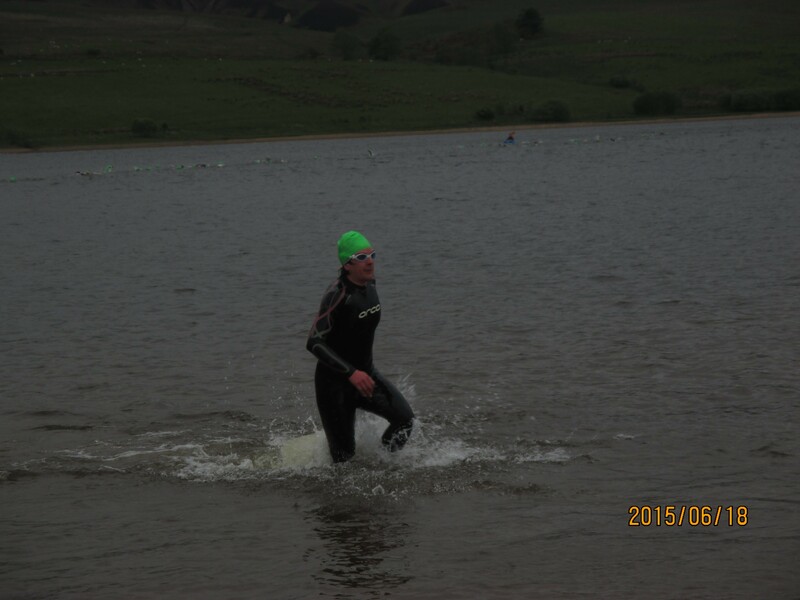 The swim was really tough! I think I always say that, but this time I really mean it :-D. The waves looked tiny from the beach and there was only a bit of a breeze. This was my first ever beach start – we ran into the sea and it was wall to wall bodies. Then we headed into the wind toward the first buoy and I realised how wavy it really was. It made sighting tricky as it was luck whether I got a view of the orange marker, or the side of a wave. It was even harder on the way back as it was quite a long way between the buoys. I was drinking far too much sea water and completely failing to draft, as always! The course was two laps, and we had to run out, round a flagpole and back in again. I was shocked that I could hardly breathe when I launched myself into lap two. 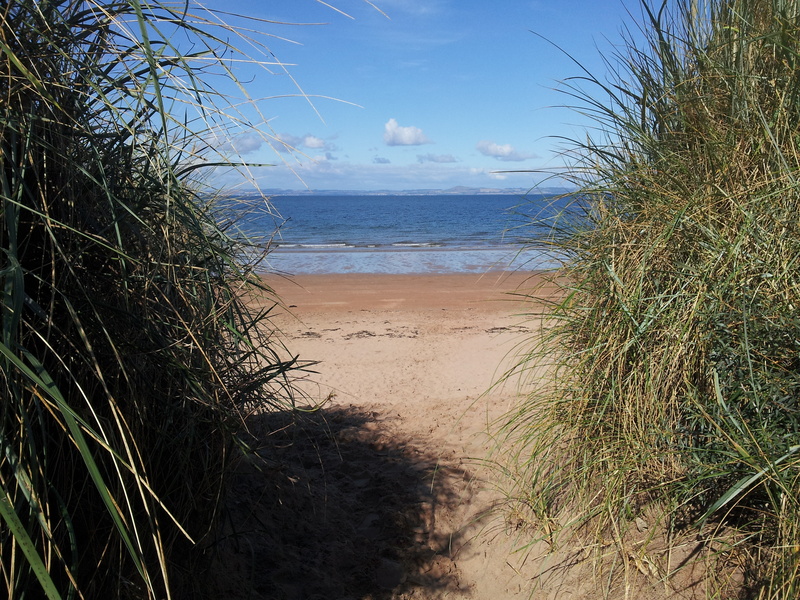 Still, it was soon done and I was running up the sand dune and along a path back to transition. 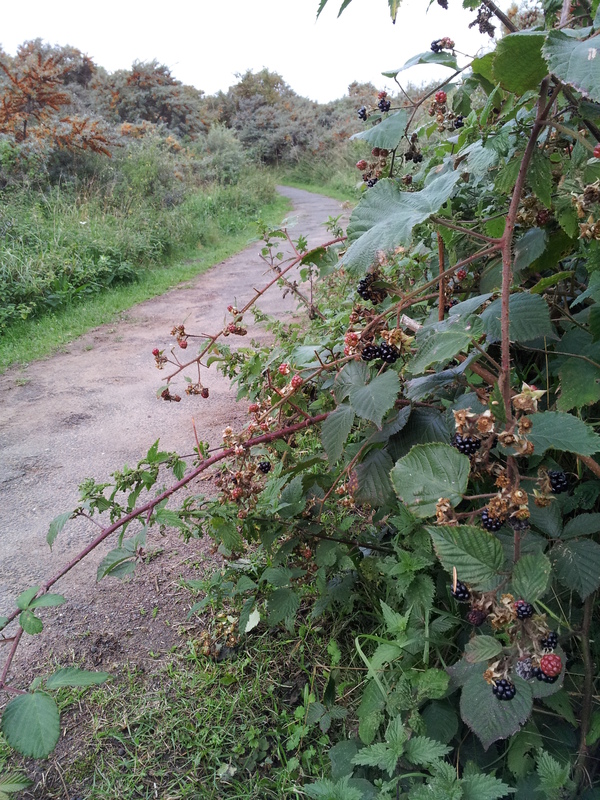 I was tempted to stop for a few juicy blackberries, but resisted. 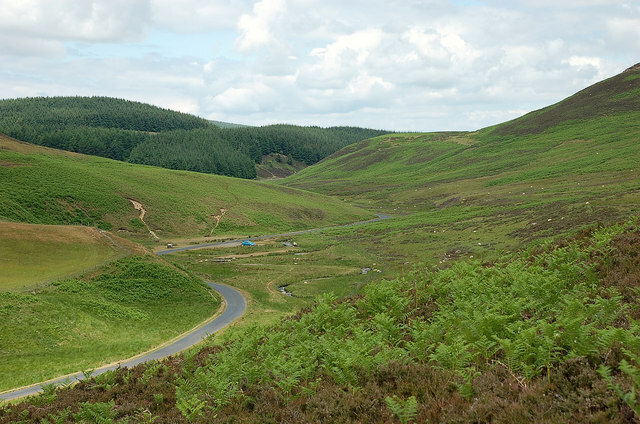 The bike course takes in some of the country lanes of East Lothian. I passed teammate Louise, who was the fastest female swimmer. Then I was riding up the hill. I concentrated on keeping my speed up and trying to chase down someone in blue up ahead. He turned out to be a great carrot for me – as he’d get away a bit, I’d re-focus, pull him back a bit – until I finally caught him with just a few km to go. My favourite bit was overtaking a man on a proper time trial bike with a big disc wheel on lap 2. You can have a fancy bike, but you’ve still got to pedal fast and no free wheeling!! I hadn’t seen any other girls, but didn’t know what my position was until I started the run. This is when some of the marshals told me I was leading! Yay! My plan had been to have a hard swim and bike, and keep it steady on the run, if I could. This would be a good test of my calf without pushing it too hard. So I kept a decent pace, but took time to thank all the very friendly marshals. I was too out of breath to say much though, so little hand waves had to do. The course was two laps, with an out and back at one end. I saw the other girls behind. Only one looked close enough to catch me. I kept going and was still in the lead as I set off on the out and back again. There was a little loop in some trees at the far end and as I emerged I couldn’t see ‘the girl in black’ going the other way. Uh-oh, I thought, she’s probably closing in and already on that loop! 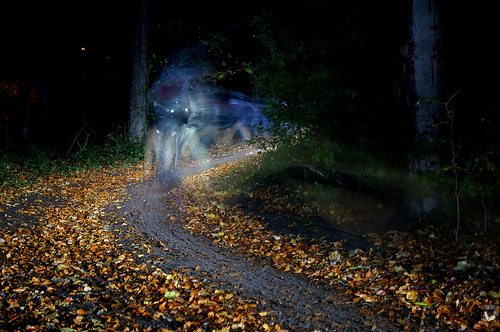 As I approached the last few hundred metres I looked over my shoulder and could see two people in black approaching. Things were no more defined than that! So I picked the pace up and pushed hard to the end. Good job I did, as Megan Mowbray had a storming run and flew in just 7 seconds behind! A very exciting finish and a fantastic race for me. Fellow Celtman competitor, Laura Sarkis was third. Full results here. The prize was more than I expected – a £100 voucher for the Tri Centre. The free post race food even included a decent veggie option and I picked up another bottle of speciality beer for Andy. Lots of the club were out racing and supporting and there was a great atmosphere. Thanks for all the cheers! Whilst we’re on the thanks, Lesley Marshall took some great pictures, Scott always gives good advice, whilst Kirsty works her magic on my legs when I keep abusing them. Finally a special word for Glen and Heili for picking me up so early. Couldn’t have done it without you guys :-). 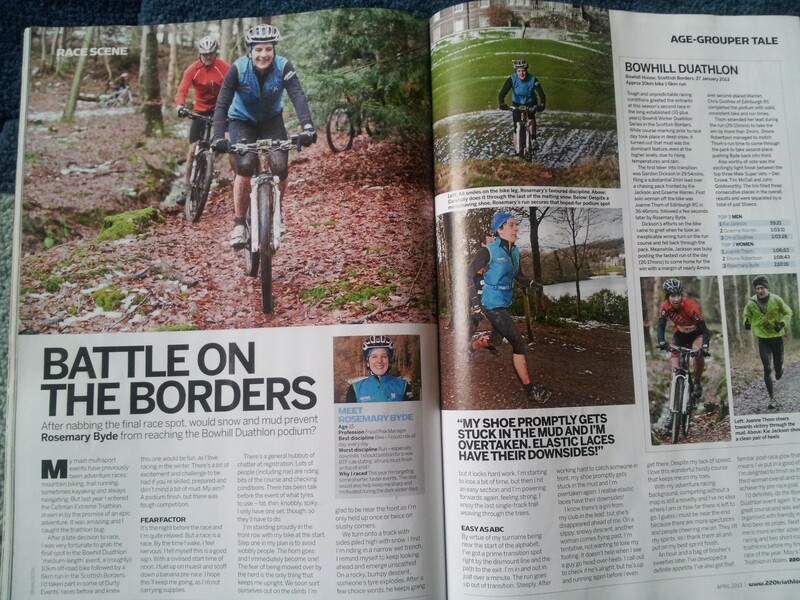 It seems a long time ago now, but back in January I did an off-road duathlon at Bowhill estate. I didn’t blog about it because I was writing an article for 220 triathlon magazine. This is now in print! I was pretty excited about it, and rushed out to buy a copy as soon as I could. It hasn’t generated quite as many comments as my Celtman TV appearance last year, but one or two people have said they saw me in the magazine :-). Even better, my submitted copy was reprinted with only minor edits – I can write to a brief and am good enough for a national publication! Awesome. 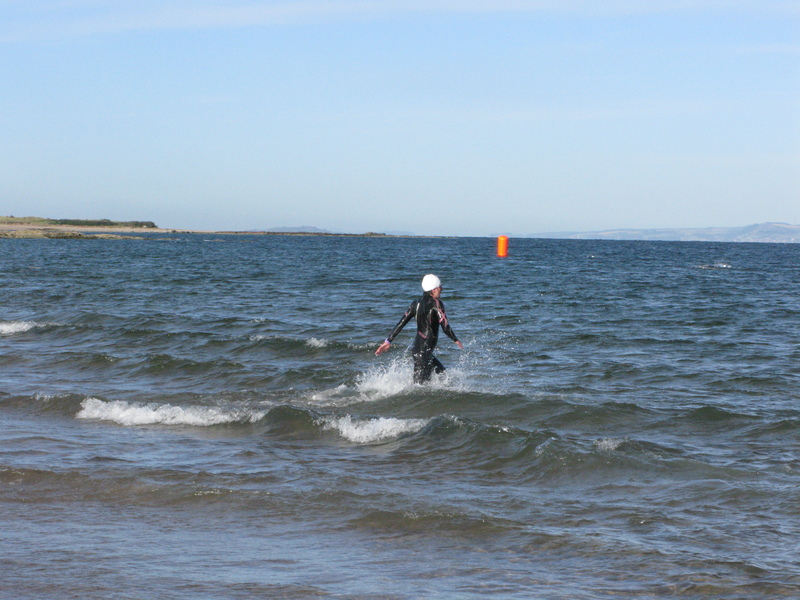 This weekend I was due to be racing in a sprint triathlon in Tranent. 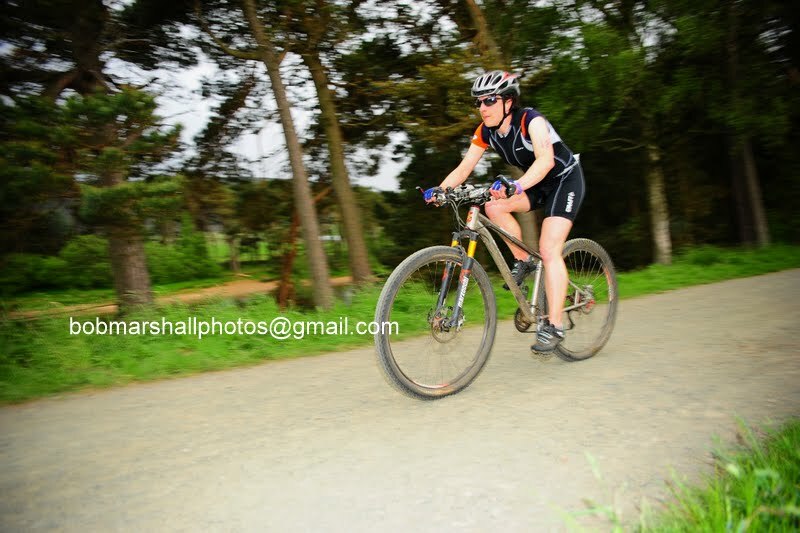 This was my first preparation race (of two) for the Slateman in May. On Friday we had an email at 14:30 saying the roads were clear of snow and ice and were well-gritted. The race was on. By 17:00 the organiser had had second thoughts and sent out a message cancelling the event due to cold conditions and high winds. I was gutted. I even cried a bit … but realised how ridiculous that sounded when I told my friends! It was just a disappointment after being psyched up and ready to go. But the organisers have to make their own assessments and I’m sure it was a hard decision for them. It was a shame. Instead, I made my way down to the local Parkrun on Saturday morning. I have only just discovered these events, but they run every Saturday at venues up and down the UK. They’re a totally free, timed 5km run (not a race). Our course is down on the seafront and is as flat as you’ll ever get off a running track. The only downside is that it can be exposed to strong winds, and this week they were gusting at 40mph! 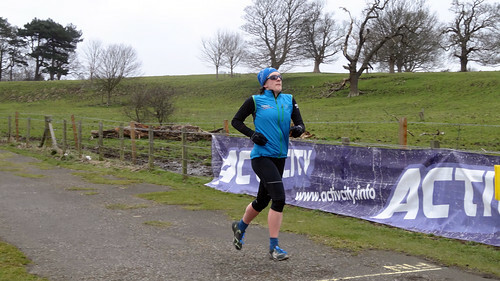 I think I was still a bit fed up about the race cancellation and channelled my energy into running fast and tactically, sticking with a group for wind protection on the outward leg and gliding back at the end. I was unsurprised to have a negative split, but surprised to get a new PB … it’s dropping fast! Everyone is really friendly at these events. After chatting a bit to some people I recognised from my group at Edinburgh Athletics club, I rode back with a random cyclist, attempting conversation in a howling gale as we rapidly dropped down though the gears. To top off the weekend I thought if snow / bad weather would call off my race I was jolly well going to go out and play in it. A last minute hopeful text to my friend and clubmate Glen resulted in an arrangement to ride on the Pentlands on Sunday morning. What fun we had! 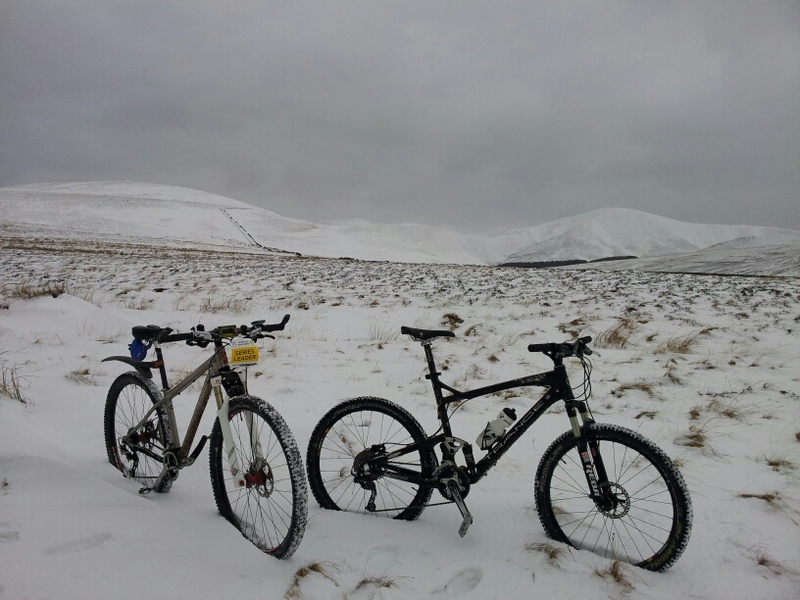 The snow wasn’t as packed and easy to ride as last time, and there was a lot of ice. But we battled the wind, smiled at the walkers and runners, and kept moving before we froze to death! It was amazing how suddenly you could be out of the snow with the loss of height. We fitted in a loop round the barracks before heading back into the white stuff for a last whoop, cutting fresh tracks through the trees by the reservoirs. A good weekend in the end. 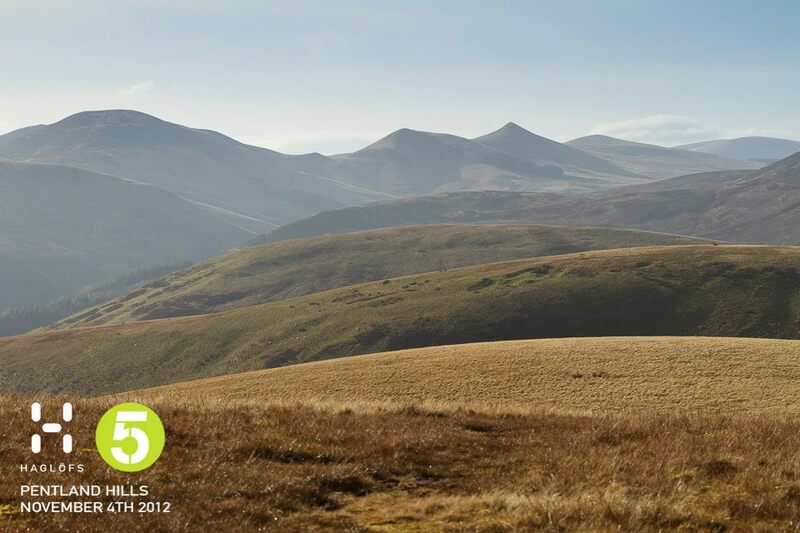 I’m already looking forward to the Easter break and the next Open 5 in the Lake District! 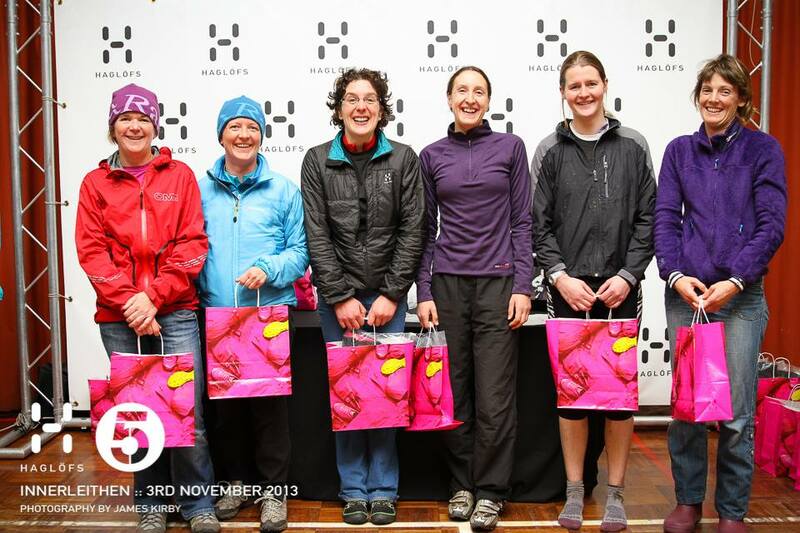 The first race of 2013 was on the first day of the year and was the first in my new “shorter, faster” plan! The initial challenge was getting to the start line in one piece. I had my training for the weeks leading up to the race all planned out. I even went and did the Christmas day ParkRun to keep my legs turning over nice and fast. And then I got a chest infection and was knocked out for a week! By New Year’s Day I was feeling human again, though nerves were getting the better of me at breakfast and I felt a little queasy. This is usually a good sign, though it felt worse than usual. A short pedal up to the Commonwealth Pool (the Commie) to register and get set up. How nice to race without a long train journey first! I was worried my kit would blow away in transition, I fretted I might get a puncture, I couldn’t decide how much water to carry. One thing I wasn’t worried about which everyone else seemed to be – the cold! Lots of winter racing means this weather looked balmy to me … dry, sunny and only a little bit windy :D.
It was great to be able to get a proper warm up in the diving pool. Then before I knew it, I was off. The heat was 50 people following each other at 5 second intervals up and down each of eight 50m lanes, ducking under the lane rope at each end. The first 3 or 4 lengths were fairly orderly, with slower people on one side and overtakers the other. Then it turned into a melee as we all bunched up and it was a free for all! 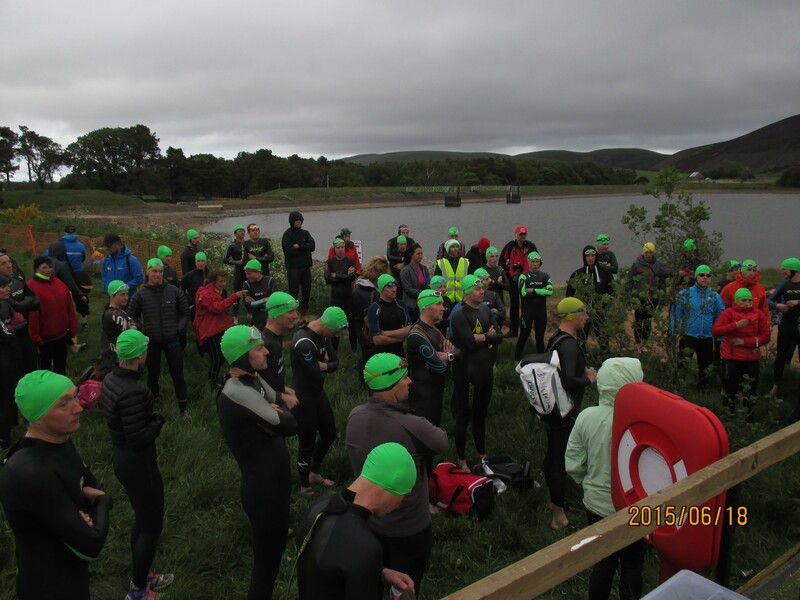 Lucky I am more used to open water swims, so I claimed my patch of water, swam hard and tried to maintain position. The swim before it got a bit crazy! It was a bit chilly on the feet running outside to transition and I struggled into my fleecy top. Once I was off on the bike I felt great though. Because the faster swimmers went last, and it was a three lap course of Arthur’s Seat on the bike, we were soon passing slower riders. I followed my plan and worked hard off the top of the hill and into the wind before screaming down the hill the other side :-). Feeling good, enjoying the sunshine! After the bike I wasn’t looking forward to running but it had to be done! I surprised myself as I set off feeling quite sprightly. Maybe it was the effect of my brand new, unworn, lightweight shoes with sparkly bits, though they were rubbing my dodgy ankle by the time I got back! Up the hill for the final time I told myself it wasn’t really that long and I would have to run up far more hills on Sunday (at the Open 5). I can play a lot of mind games when I’m racing. I even tried to follow a couple of runners who came past me but they were going just a little bit too fast. Over the top and I relaxed into the downhill before attacking the final little climb back to the pool for a sprint finish. That’s when the coughing fit that lasted about an hour started. I had been fine in the race though. I was worried I hadn’t worked hard enough, but I soon felt wibbly wobbly and needed a little sit down. 😀 I had a target time of 1:15:30 and got 1:15:15. 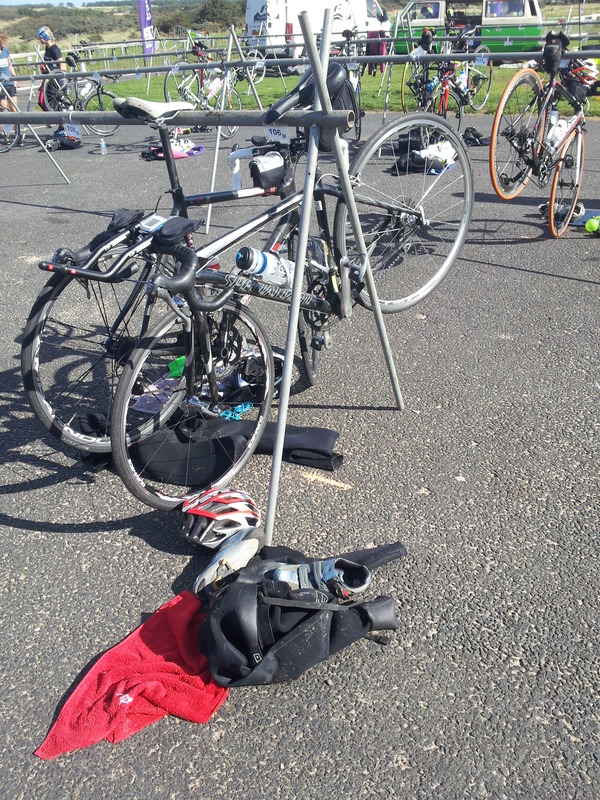 My transitions were very slow compared to other people, the swim was OK, my bike was ace (fastest female!) and my run was ‘not bad considering’ and 3 minutes faster than I planned. Final result – 2nd female. A good start to the year, in my first short fast one! The race was followed by some great grub in the congenial company of clubmates before dragging ourselves back onto the bikes for a slightly wobbly ride home! Only joking – my mulled wine intake was moderated :D.
Andy’s take on the day here. I was already signed up for the 200m freestyle and got myself into one of the club’s 4x100m relay teams. I like everything except backstroke, but my favourite is breaststroke. So I decided to also do the 100m breaststroke, the 4x25m IM (Individual Medley –one length of everything) and the butterfly leg of a 4x50m relay. In preparation for the race, I had dug out a tight fitting non-saggy costume. The only one I could find was from way back when I was at Bristol University for a year, but it was the best I had! I also had the shiny brand new goggles I won at the Snowman. I was ready. We had about 5 minutes. I tried diving from the wall. All went well, goggles stayed on. Then I contemplated the diving blocks. Wow, they looked high! I gave it a go and got a major adrenaline rush! Goggles still on, me still in one piece. The only difficulty was judging my depth as we were in the diving bay – deep enough for a 10m high board! Won my wave in a time of 2:39:00. Awesome! Didn’t know I could still go that fast! I was on last leg. There was a girl just ahead in the next lane. I wanted to beat her. I was catching up. My style was out of control. I nearly killed myself. She just held it on the touch. I was very wibbly wobbly and had trouble breathing and walking. Should have been my best race but I was not feeling recovered from the last one. Did a time of 1:34:26. Well off my pb from 15 years ago, but not too bad! Oops! I was out of the water from the breaststroke and straight back onto the blocks for the IM! No rest at all, except what I could muster from dawdling out of the water. I did actually realise this mistake before we started, but Chris wouldn’t let me change. He said as a Celtman veteran, this should be easy peasy for me. Afterwards someone said my lips were the same colour as my hat (blue). I was a bit tingly. 1:26:21. I just tried to hold my own, I can’t even remember where we finished! Yes, we had to swim in a t-shirt. There was only one per team. Changeovers between team members were done on the poolside at high speed. We had a system. We won! And then it was off to Hemma for a buffet, chat and celebrations. ERC won the gala by sheer weight of numbers, but I think a good time was had by all! 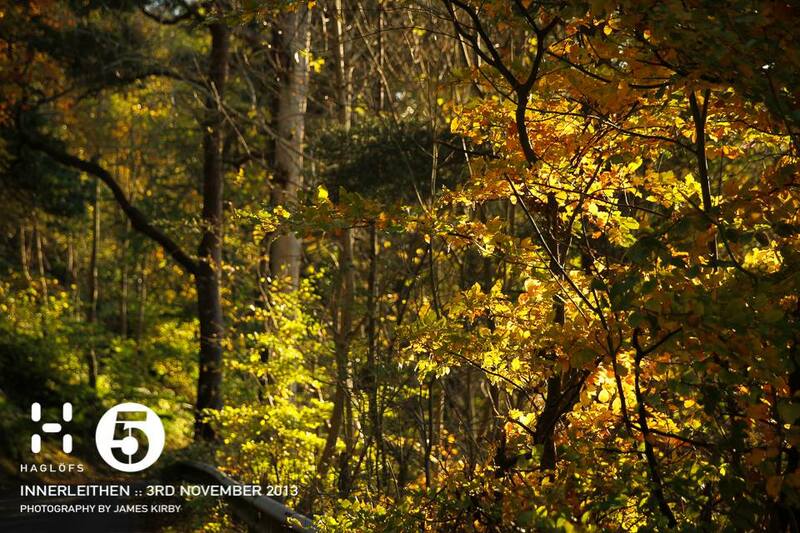 The first round in the Haglöfs Open 5 series for 2012/2013 was on my home ground in the Pentland Hills near Edinburgh. For once I was not competing, but had spent 11 months planning the event. 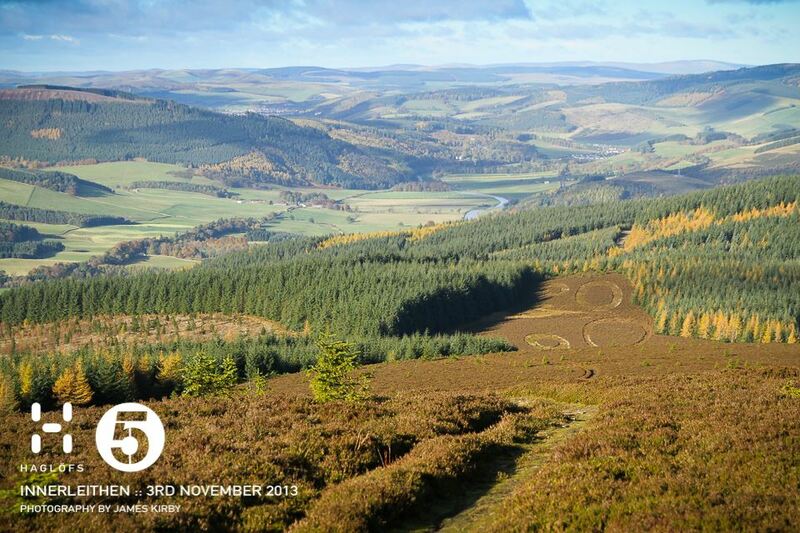 I was delighted last year to be invited to plan the first Open 5 course north of the border in Scotland. I was excited but also knew I had standards to maintain – expectations from competitors and Open Adventure would be high! The part of event planning I really wanted to do was the maps. By the time the event morning dawned bright and crisp, they were burnt onto my brain! The Pentland Hills have an amazing network of paths and tracks. Unfortunately, a lot of them aren’t shown on the Ordnance Survey maps, and even the 1:50k and 1:25k versions are not consistent. 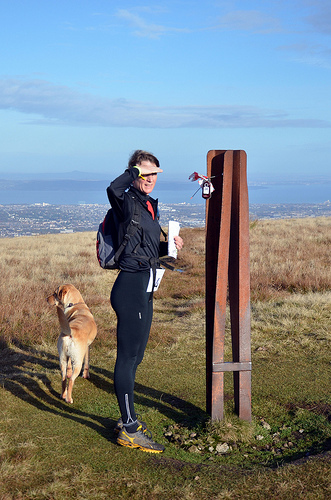 So one big job was to get out onto the hills and get gps traces ready for uploading. This translated into a lot of late nights fine tuning the map. I was really getting into the detail, but knew it was needed. 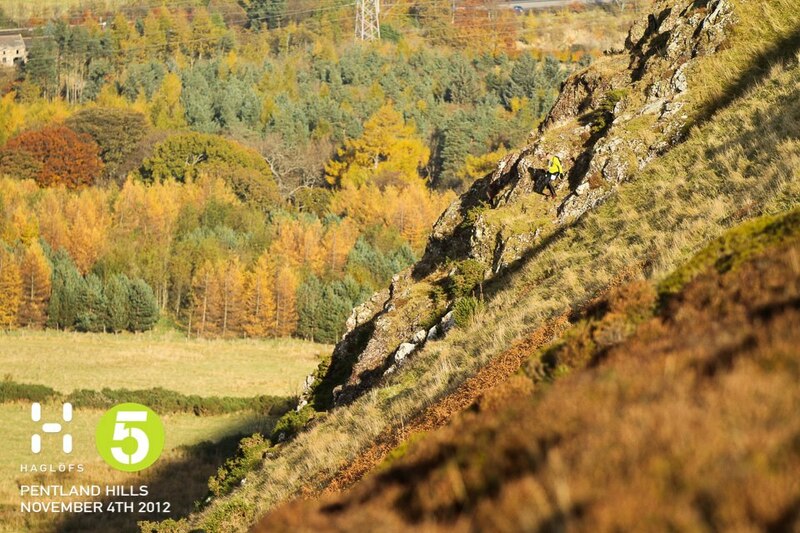 Spot Tom approaching a control by a difficult route! Something I really enjoyed was getting out on foot much more than I would normally. The planner guidelines instructed me to be adventurous with control placements on the run, so I was busy exploring off-piste options; I had fun finding a little tree in a gully, a stake on a rather steep hill at the base of a crag, and a dilapidated stile in a wooded valley with an innocent looking little bog of doom at the top (I know this caught at least one person out!). It was a VERY early start! We went up to Bonaly Primary School to get set up. I had sore legs from the previous day’s exertions (though that dodgy knee was OK). How odd to be there starting a race day like that! Eek, they’re all looking at my course! As people started arriving I was getting nervous. Looking round the room there were so many top racers who had made the trip up, and I couldn’t believe they were all going out on my course … would it be up to scratch? One of the challenges in planning an event like this is to design something that is almost (but not quite) clearable by the very best, but still fun with plenty of route options for total beginners and everyone in between. Other considerations include making sure that the course is still interesting with good options in bad weather, it uses interesting trails, it is off-road as much as possible and that control placement and values and mapping of tracks discourages use of the boggier routes. The sort of strategic challenge I enjoy! I had a flurry of questions about the map (the favourite was one about whether a certain ‘footpath’ was out of bounds – yes, because it was actually a power line!). I also loved seeing so many new people who looked excited at the prospect of heading out in the sunshine. The girder control, views across Edinburgh and the Forth. Once the last racers had left the hall to get started, I wandered outside to cheer people off and chat to the marshals. We had to make a late decision to use the school playground as the start / finish / transition area. Not the normal scenic field, but it was quite funky and people liked it being close and not muddy! The hopscotch funnel into the transition / finish area was an optional challenge (sadly worth zero extra points). Waiting for the first people into transition was more exciting than I expected. Seeing competitors come and go with various tales (spoken and unspoken!) of fun, mud, exertion and adventure was rewarding. I was anxiously waiting for the racers we thought would be at the top end of the field to come in. I was under no illusions that if I had got it right, no-one should clear the course! Had I made it hard enough? They started coming in from the running after 1h45m – I thought that would be enough that they wouldn’t clear the bike course and started to relax a bit. Later, I was looking after the finishing control box, with Lisa giving me ‘feedback’ when I forgot my lines 😀 (“Well done, did you enjoy it? Please download in the hall as soon as you can!”). I got a bit over-excited and nearly tripped over the gantry several times, narrowly avoiding injury. In the final analysis, the highest scorer (Kim Collison) got 570 out of a total 600 – perfect! I also got some fantastic positive feedback on the course design and the weather (for which I take all personal credit). I was proud that people who had travelled to compete had been treated to a great showcase of what my area can offer. 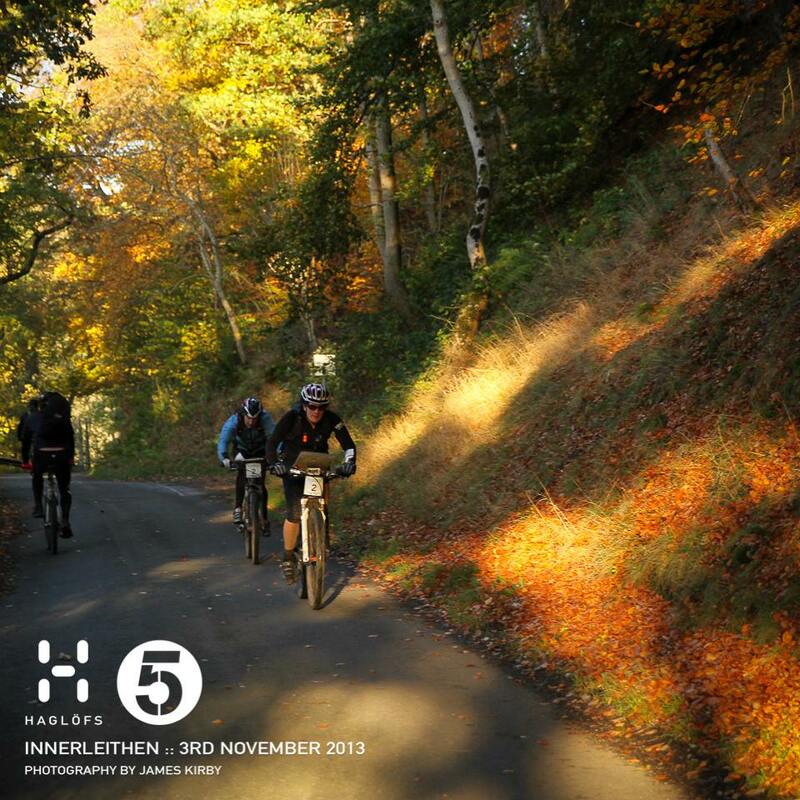 Plenty of local people also turned out – some experienced adventure racers, some new to the whole thing. Special mention to Anna Sloan who topped the female solos after losing her partner at the last minute. 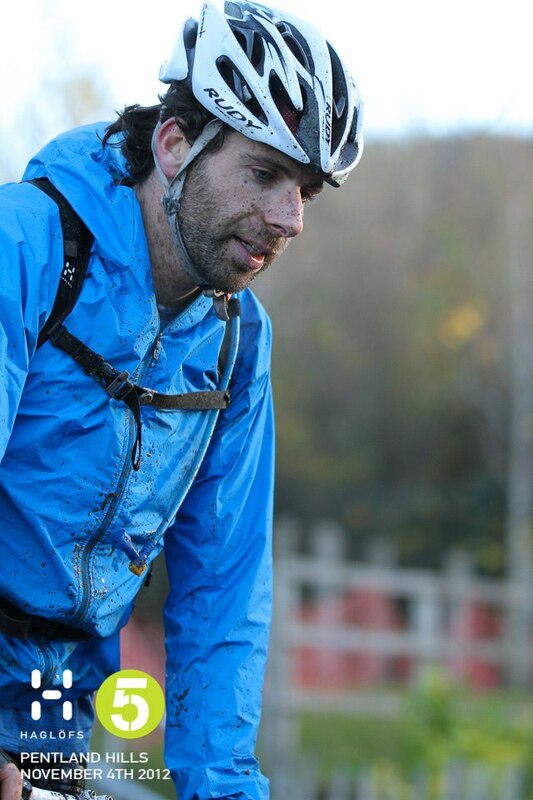 Also to our celebrity, Mark Beaumont who was 3rd in Male pairs! On reflection, all the hard work was worth it. Next time round I will be back to racing though! Andy was supporting and dog-sitting. Here’s his blip. And here’s a view from a competitor – Dawn’s blog. Official ones from James Kirby. And some from Andy Kirkland.